Advertised all over as the world’s first smartphone with a dual-edged display, Xiaomi Mi Edge is the latest offering of the reputable Chinese manufacturer, Xiaomi. While the dual-curved screen of this smart phone surely makes it unique in its own right, the innovation doesn’t stop at that. This model has been developed with the major motto of giving stiff competition to the recently launched, Samsung Galaxy S6 Edge, which is why it is considered to be a notch higher than its predecessors. Here, we will give you a bird’s eye look of the specifications, expected price and release date of this smart phone. The Mi Edge will sport a similar design as the recently released Samsung Galaxy S6 Edge. Additionally, the handset will have a metallic frame that will be easy to hold and also look great with every outfit. The company has recently announced that it will be available in four attractive colors namely pink, yellow, black and sky blue. As per the circulating reports, Xiaomi Mi Edge is rumoured to flaunt a 5.2” display and a 1440 by 2560 QHD resolution screen. Now these credentials surely make it a cut above its contemporaries. Powered by the latest Snapdragon 808 chipset, the pixel density of the handset is expected to border around a value of 565ppi. This will ensure fluid-smooth graphics and precise clarity for viewing videos and images. The model is supposed to boast of its metal chassis and will come covered with a premium metal shell. However, extensive details regarding the hardware to the likes of storage capacity, battery and front-camera are not known as of now. Nevertheless, this fact still remains that it will be a high-end device, considering that the company, Xiaomi has always focussed on producing feature-packed devices at pocket-friendly costs. With amazing AliExpress coupons India you can grab this phone in a lucrative price. If sources are to be believed, the Xiaomi Mi Edge will feature a 20-megapixel rear camera along with a 5-Megapixel front camera for the purpose of taking crystal clear selfies and making video calls at high clarity. The smart phone’s battery won’t disappoint either. Xiaomi Mi Edge will be fuelled by a 31,00mAh battery that will sport a unique “Stamina Mode” to provide users with long hours of performance at a stretch. According to various sources, Xiaomi Mi Edge will be powered by the modern 64-bit hexa-core Snapdragon processor and will integrate up to 4 GB RAM. Coupled to that is the presence of an in-built memory of 32GB and a whopping 128GB expandable memory to provide users with plenty of room for storing tons of data like images, videos, audio and so on. The powerful processor will make it easier to run numerous applications at one go. 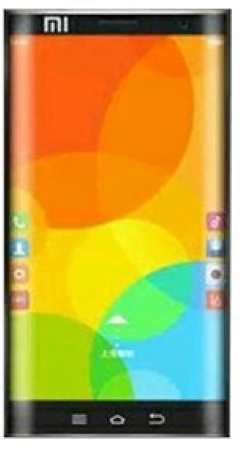 Analysts believe that this novel, curved-edged smart phone will be priced competitively to appeal to the masses. Because it is a mid-range device, it is expected to cost around 26,000. While you recharge this phone with Paytm promo codes you can avail some great discounts every time on your recharge.While the manufacturers are still working to polish the gadget as per the expectations, it is expected to Xiaomi Mi will be launched in the month of October 2016.